In partnership with Mexico’s Mario Molina Center and Canada’s Pembina Institute, EDF released a policy brief in Mexico City this week that illustrates that national action in the United States, Canada and Mexico could cheaply and quickly eliminate 232 billion cubic feet of methane from the North American oil and gas industry. Titled “North American Climate Leadership: A road map for global action,” the brief synthesizes analyses included in ICF’s North American report and its research conducted in the U.S. (2014), Canada (2015) and Mexico (2015). All of ICF’s analyses found that reducing methane from the oil and gas supply chain is cost-effective and environmentally beneficial. Even at today’s historically low gas prices, the cost of capturing methane would add just one penny to the current price of gas, based on the cost of solutions and the ability to sell the recovered gas. Choosing to highlight these opportunities at an event in Mexico City was no accident. As one of the world’s largest oil and gas producing countries, Mexico could make significant headway in reducing its climate emissions by addressing methane quickly (now), as the United States and Canada did this spring when they announced a pact to reduce their oil and gas methane emissions 40 to 45 percent. Mexico has already taken important steps toward methane reductions within its oil and gas industry, including them in their UN climate commitments, or INDCs. PEMEX has shown leadership by joining the Oil and Gas Methane partnership, a voluntary U.N. initiative for companies to report on and reduce methane emissions from their operations. Now is the time for Mexico to formalize these commitments by setting a similar 40-45% methane reduction goal and regulations to achieve it. And the opportunity to do so in Mexico is even bigger than it was in the U.S. and Canada. According to ICF, Mexico could reduce its oil and gas methane emissions 54 percent below 2013 levels by 2020 – at a cost of 0.79 Mexican Pesos (roughly six cents U.S.) per metric ton of CO2e. A reduction of that size could yield Mexico about 10 percent of its Paris climate commitment, just by taking action in one sector. In contrast, a failure to implement a plan to reduce methane pollution as the country’s oil and gas industry expands due to historic energy reforms made in 2013, will result in higher emissions, making it harder for Mexico to meet its climate commitments. 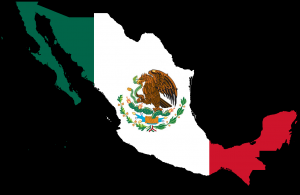 Further, with reductions coming in the United States and Canada, Mexico can use this as opportunity to ensure a level playing field for companies that operate in two or all three of the countries and avoid a large number of polluting effects with the entry of private players into Mexico’s oil and gas industry for the first time since the 1950’s. Mexico has clear legal authority to commit to these reductions, and as it was for the United States and Canada, it’s an opportunity too important to let pass. The time is right for a continental approach to methane reductions. Later this month, President Peña Nieto, President Obama and Prime Minister Trudeau will meet in Ottawa for the North American Leaders’ Summit (NALS), and energy and environment issues are a ripe topic for trilateral cooperation. If Mexico matches the U.S. and Canadian reduction goal and enacts regulations to achieve it, North America could see a 20-year climate benefit equal to taking about 85 million cars off the road. A commitment by Mexico would put an exclamation mark on an incredible six months of North American climate action and continue the leadership these three countries have shown in recent years. It would also underscore what a steady stream of scientific studies and economic analyses have concluded: that reducing methane from our oil and gas industry is our best opportunity to make a quick and affordable impact on climate change, and that every energy-producing country – large and small – must participate.